You guys use GPS in Ganny? "Not my circus, not my monkeys"
Could always use your phone with an offline gps app like Osmand in lieu of gps. That is exactly what Maprika is, it has a better map for Ganny. nice tracks . Does maprika chew a lot of battery life? On my Android it uses about 15 percent battery for a 4 hour ride. great, I didn't realise it would work with the screen off. That's great. Do I have a USB socket wired up on my WR for auxillary power just incase. Just downloaded it. Hopefully I'm tech savvy enough to make it work. 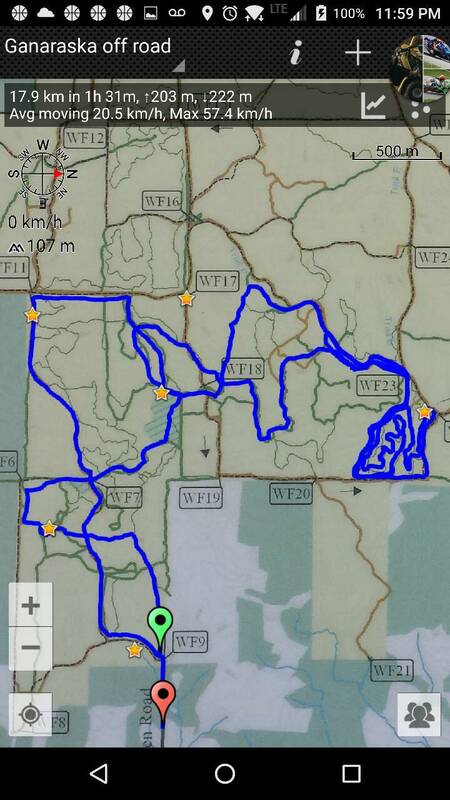 Load the map on Maprika and turn on GPS on the phone, the dot is where you are in the map. Simple and effective, it also works great for hiking/camping. Don't think so ... but the Simcoe tracts are more compact, with exception of the Orr lake expansion, maybe. 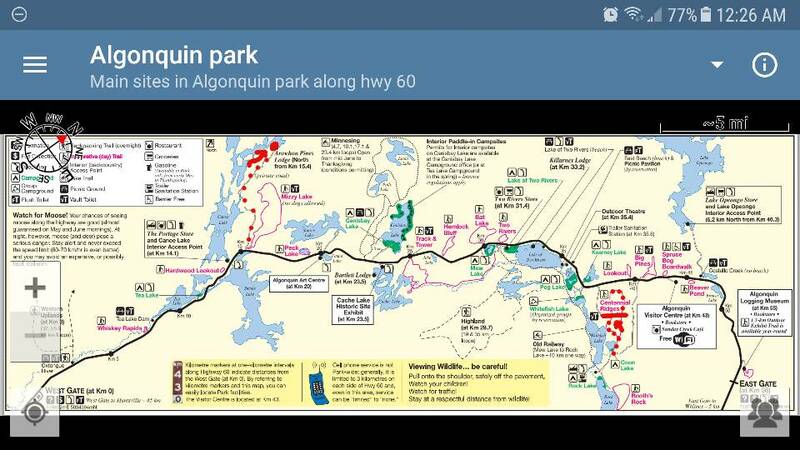 If you're a SCORRA member and have online map access they have a mobile app on their map website that does overlays your location on their trail maps. ah yes, I forgot about that. thanks! I am not too fond of those maps. I just don't think it works as well as the Maprika approach. But, yes it's better than nothing. Same here. I tried using it a couple times while at the tract and it never quite worked for me. Now I go, get lost and push the home button on my gps. Best trails i have found were while lost. It is kind of impossible to truly get lost at the Ganny.